Can Dems Learn From Their 2016 Mistakes If They Do Not Acknowledge Them? PAUL JAY:	Welcome to The Real News Network. I’m Paul Jay in Baltimore. Tom Perez beat Minnesota Congressman Keith Ellison for the DNC Chair in a vote held last Saturday in Atlanta, Georgia. Perez, who served as President Obama’s Labor Secretary won by a thin margin, only 35 votes out a 435 vote total. Following his victory, Perez appointed Ellison his Deputy DNC Chair, though according to the intercept, this is not an official position in the party’s bylaws. Perez was an outspoken supporter for Clinton during the primaries while Ellison was a vocal backer of Sanders. The race came to signify the conflict between the establishment and progressive wings of the Democratic Party. During the campaign, Perez was criticized for representing the faction of the party that’s unwilling to break with its Wall Street alliance, while Ellison was hit by a smear campaign spearheaded by Democratic Party donor Haim Saban. Now joining us from Cleveland to discuss all of this is Nina Turner. She’s a former Ohio State Senator. She’s a college professor, a public speaker, a frequent media commentator and author and was a national surrogate for Senator Bernie Sanders during the 2016 Democratic presidential primary. Thanks very much for joining us, Senator Turner. NINA TURNER:	Thank you, Paul. It’s a pleasure. PAUL JAY:	Tell us what the atmosphere was like. You were there voting, and you were there on Saturday. What was the mood? NINA TURNER:	It was electric, especially for those who were supporting Congressman Ellison. He had chants going on, people from all walks of life. Prominently there were the National Nurses United who really helped the congressman all across this country. As you and I both know he traveled to a little over 30 states as he was fighting to become the next chair. But, you know, every candidate, it was palpable. It was pleasant. It was okay. But the energy was definitely on the side of Congressman Ellison in terms of his supporters, wall to wall they were there. But just like any other campaign atmosphere, that’s pretty much what it was like. There were trails of posters for every candidate, for every race. As someone that had a vote on the DNC, you could not walk a few steps without seeing someone’s campaign literature. So, campaign move and mode was in full effect. PAUL JAY:	Right. Now, you were a supporter, as I mentioned, of Senator Sanders. You supported Ellison for the chair of the DNC. It was not just a fight over who would be the DNC chair, it was also quite a symbolic fight about whether or not the Democratic Party – corporate Democrats, as many people call them – would maintain their control over the party apparatus, or whether the Sanders Insurgency, as sometimes they’ve called themselves, would make a breakthrough. You supported Ellison, so how did you feel after this vote? NINA TURNER:	Disheartened, and not because Secretary Perez is a bad person, that’s not the issue here. It really is about the direction of the Democratic Party, and bigger than the 447 people who were eligible to vote in that room. This is about America and this is about the people who were not in that room and that to me is what is missing. There was a resolution pushed by Miss Pelosi, and Christine Pelosi, to try to restore the rule that President Obama had put in place that the DNC would not take money from lobbyists, and that got voted down, so that tells you. And we did that even before we went to the chairs’ race. So that was the stage. That was the foundation point right there that probably was the omen for what was to come next, that vote, that as a party we couldn’t even go back to a very good rule that the president put in in place which is we should not take money from corporate lobbies. PAUL JAY:	The split over the question of money also goes further than that. The progressive wing of the party argues there should be far more reliance on mass fundraising Sanders-style small-donor funding and break this sort of link with the power of finance over the Democratic Party. So it was more than just about that, and so was the race, because the race itself had a lot to do with that issue of how the party gets financed. NINA TURNER:	It did, Paul Jay. To your point for people who were not there, it was live, it was streaming live, so anyone in the world could have seen it, but that point about that resolution that Christine Pelosi was pushing, and, you know, both sides got a chance to argue their point. Well, some of the people who were arguing against the resolution flat out said they didn’t even try to hide it that Democrats should not handicap themselves, if you will, and not take all that money. They really made it clear that the receiving of that type of money was more important to them than doing it the way that Senator Sanders has established that it can be done, which is raising money from everyday people en masse to push the mission of this party. It was quite disappointing. So, again, that is how we started off the meeting when it came time to start the votes. And you’re right: it is bigger than all of that. This is about the direction that this party is going to take, and the principle and the values of the party and obviously we went lacking on Saturday. PAUL JAY:	And this issue of how the party gets financed goes to the core of where the party is going to go, and it seems like what people call Corporate Democrats, in this case led by President Obama and Hillary Clinton and their allies, that it was more important to keep ties to finance than it was to, in any way, appease all the young people and all the energy that was coming around the Sanders campaign, in the sense, once again, the Sanders, that type of politics, that type of progressive politics, is not where these people want the party to go. NINA TURNER:	That’s right. And there are members, I mean, may of our viewers might not know this, but there are members on the DNC, voting members on the DNC, who are lobbyists. Someone who works actually works for Goldman Sachs, is a voting member on the DNC. So I want that to be clear, that this party decided on Saturday which side that they stand on, and it is obviously not the side of the everyday person in this country who is really depending on the Democratic Party to stand up for the people. We had the power to do something differently there. Not just in terms of the selection of chair, again, I have nothing against Secretary Perez, but they didn’t even want to do that in terms of how we raise money to forward the mission and to not have the willingness and the faith to trust that we would be able to raise millions upon millions of dollars from everyday people in this country is a little disturbing. As somebody said to me, conservatives in this country have a party and a half. PAUL JAY:	Well, perhaps it’s not that they don’t think it can be done, perhaps they don’t want it to be done. In the sense that, as I say, they finance these sections of the elites that are serious big donors to the Democratic Party, not least of which is Haim Saban himself, who, once has been said, “He has an honorary seat in the Israeli Cabinet,” because he almost acts as a middleman between the Israeli government sometimes and the American. That to allow this kind of popular fundraising to become dominant changes the whole character of the party. These guys lose control of the party. NINA TURNER:	It does. Absolutely. You’re right. So maybe it is about willingness, but lots of people were very disappointed in that, so here we go. I think it was the brilliant Einstein who defined insanity, He said, “Doing the same thing over and over again and expecting a different result.” What the Democratic Party did on Saturday, through and through, is a symbol that we just don’t get it. PAUL JAY:	Now, is it primarily a symbol? How much practical consequence will it have? For example, the next big fight, and it’s already started, is at down to precinct level captains: at every level of the Democratic Party structure there’s a fight taking place right now, whether it’s going to be the pro-Sanders section of the party or the Corporate Democrat section of the party that controls status, institutions right down to city level. That fight’s taking place now. Whose chair of the DNC have much effect on the outcome of that kind of fight? 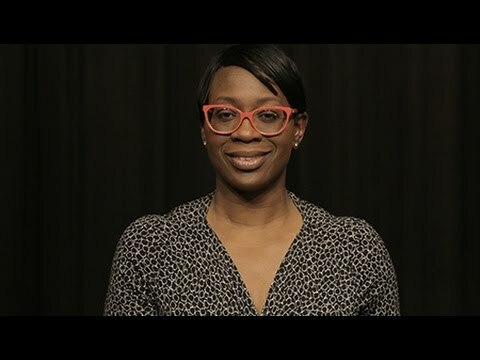 NINA TURNER:	In some ways, but, on the local level, progressives still have more than a fighting chance, and we saw that, Paul, in California where a lot of Berniecrats took over, won chairmanships and also precinct committee spaces within their county parties. So we should not give up hope on those fronts because they can still make a difference. I think that is our last line of defense. But in terms of nationally who the chair is determined who gets the contracts, whether or not it’s diverse. As you know, one of the downsides, or one of the negative things about the Democratic Party over the years is that it’s contracting out from people who print the paper to people who get the commercial contracts or the radio contracts, they have not been very diverse, i.e., African-Americans and other people of color in terms of who gets the opportunity to be able to work professionally as a consultant for the Democratic Party. It does not represent the percentage in terms of how people vote, particularly the African-American community who time and time again always gives over 90% of its votes to the Democratic Party. It is not reflected in who they hire both as staffers but also who they hire as consultants. So if we in fact really care about diversity, not just phenotype diversity and gender diversity, but also diversity of ideas, the person that leads the Democratic Party has a lot to say, has a lot of sway, and so a lot of consultants will benefit from keeping the status quo. PAUL JAY:	Now, a lot of people in the Democratic Party are very actively beginning or already in the midst of getting ready for the Congressional races in 2018. And there’s a division you can see it on the Saturday at the DNC, at the vote, and there’s a division in the party, do people focus, and I’m talking about progressive people, focus on primary and right wing corporate Democrats as the 2018 election draws closer, or is there just unite the party, which is what was called for by Tom Perez? In other words, don’t fight right wing Democrats, one would think unite the party means, and in other words, don’t have this primary fight. Just focus on Trump and elect any Democrat you can. In other words, the character of the party doesn’t get changed or challenged. NINA TURNER:	I don’t think the grassroots are going to go for that, Paul Jay. They are crying out. That is the reason why we have Mr. Trump in as president right now is because the Democrats just did not get it. So I don’t think that, as some of my folks from the country say, “That dog don’t hunt.” I don’t think that that is going to be the ultimate motivating factor in terms of the Democrats winning back the people that we’d lost in 2016 and I’m talking about people who voted for President Obama both times, and also folks who are solidly Democrat but just didn’t see any reason to come out to vote in 2016 “because the Democrats are not speaking to their issues”. So being totally anti-President Trump did not work in 2016 when he was Mr. Trump, and it is not going to work this year or next year or into the future. The Democrats are going to have to push a vision that says to everyday people in this country that we believe in you and we will push policies that will give you that opportunity to live out your greatest greatness, and that symbol comes first by way of the types of people that we elect to office and what they do once they get there. So, no, any Democrat will not do in this environment. And organizations like the Justice Democrats and other progressive grassroots organizations that are sprouting up all over this country have already vowed to take the fight to Corporate Democrats and I think they should do just that. PAUL JAY:	All right, thanks very much for joining us, Senator Turner.